The prim librarian is finally getting her chance to direct Avalon's annual holiday pageant, and she's determined to make it truly spectacular. But it might just require one of those Christmas miracles she's always read about. The problem is her codirector is recovering former child star Eddie Haven, a long-haired, tattooed lump of coal in Maureen's pageant stocking. Eddie can't stand Christmas, but a court order from a judge has landed him right in the middle of the merrymaking. Maureen and Eddie spar over every detail of the pageant, from casting troubled kids to Eddie's original - and distinctly untraditional - music. Is he trying to sabotage the performance to spite her? Or is she trying too hard to fit the show into her storybook-perfect notion of Christmas? And how is it possible that they're falling in love? 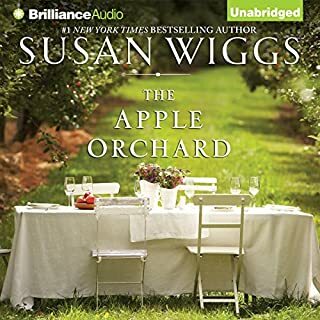 Number-one New York Times best-selling author Susan Wiggs conjures the heartwarming holiday tale of two people looking beyond the disappointments of the past to the promise of the future. Amid the holiday bustle of crackling fires, caroling singers, and delicious secrets, the season of goodwill becomes the backdrop for Willow Lake's most unlikely love story yet. ©2009 Susan Wiggs (P)2009 Brilliance Audio, Inc. 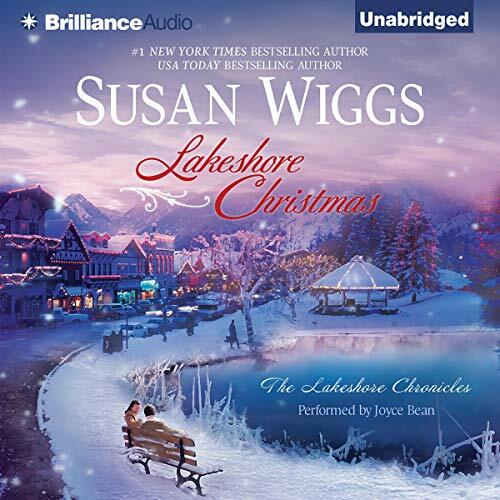 I really enjoyed this story by Susan Wiggs, but it isn't as good as Debbie Macomber's Christmas books. I grew to love the librarian and identified very much with her and her safe choices, as well as her love of books and stories. Eddie, the former child star, who is so rough around the edges, like a lots of folks, turned out to be more than meets the eye. I do agree with the reviewer that said that there is some political correctness in Lakeshore Christmas . . . that isn't necessary. No character development - didn't like anything about it! I'm shocked it has such a high rating. The story was absolutely ridiculous!!!! What would have made Lakeshore Christmas better? It is wonderful to have a main character exhibiting some wholesome values, BUT she lost me when she decided to meddle in her love interest's family affairs in the name of Christmas. The book became very annoying at this point. What could Susan Wiggs have done to make this a more enjoyable book for you? 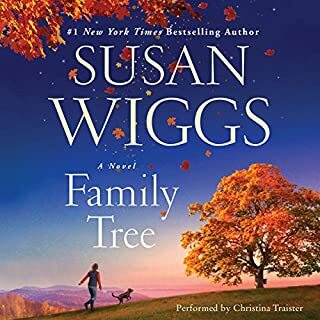 I don't know if Susan Wiggs was trying to make the book more "Christmasy" by resolving an old family matter, but it just seemed that Maureen knew much too little about Eddie and his past to start trying to fix his relations with his family. The book lost me here. Joyce did alright EXCEPT for Maureen's voice. Her voice was so annoying to listen to. What character would you cut from Lakeshore Christmas? I generally save all my audiobooks after I have read them, but this is one book I know I will not miss. It gets deleted. 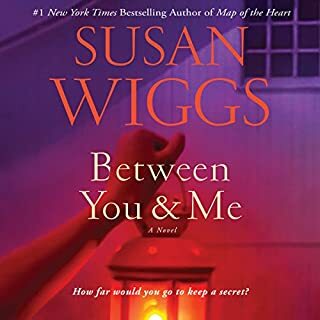 Would you try another book from Susan Wiggs and/or Joyce Bean? 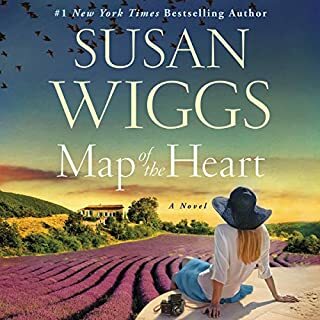 not sure if I would try another book by Susan Wiggs. When I read the synopsis it seemed interesting, but the listening was hard. It just moved along so slowly. I had to force myself to continue, but in the end I couldn't finish it. The main character had an arc that was simply not believable. No one who is in drama or theatre could possibly be wounded by a love affair to the degree that this woman was, even a first love affair, unless she was living under a rock without any media her entire life (which makes the theatre thing rather implausible), or perhaps if this story took place in the early '50s or before. You can't have it both ways. Either you're a free spirit, or you're completely closed off and paranoid. 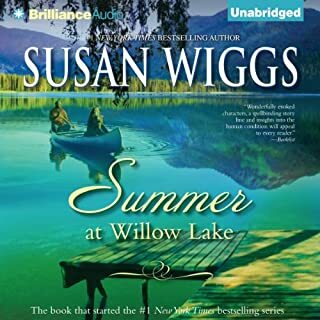 Would you ever listen to anything by Susan Wiggs again? Probably not, although I could have sworn I'd read something of hers a few years ago that was entertaining. I can't remember anything specific; ti was all pretty generic RO-mance. Reality. Something approaching the latter part of the 20th century and I don't mean more cell phones. 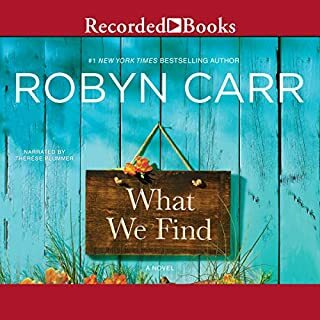 I suppose this might be enjoyable to pure RO-mance fans who don't require more than a labored approach to The Consummation and can ignore characters that really don't make much sense. First, this is a nice Christmas story. However, I expected more of Susan Wiggs from previous books I had read by her. From the early parts of the story, I really expected the Chirstmas ghost/angel to have a bigger part in the outcome. This just didn't develop, leaving the predictable conclusion feeling empty. In other words, the ghost really could have been dropped without affecting the story, I think. I think I kept waiting for more throughout the whole book. The characters are mere cardboard cutouts of traits, the plot is transparent and predictable, and Maureen, the librarian, is so stilted and prissy, that her appealing to anyone other than a 1500's pilgrim preacher would be a Christmas miracle in itself. I knew not to expect reality in a genre such as this, but that was directed towards the plot rather than in the belief that someone would want to publish this. Unbelievably bad!